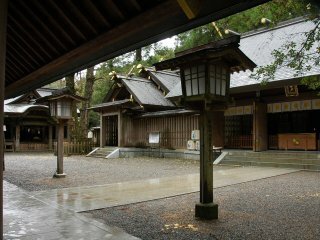 Amano Iwato Shrine, they say, stands on the very spot where Amaterasu the Sun Goddess hid herself from the world after getting upset with her brother, as narrated in one of the most popular Japanese legends. 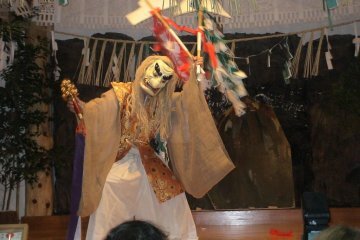 It is also here that all the other gods gathered in council and Ame-no Uzume performed her famous dance. 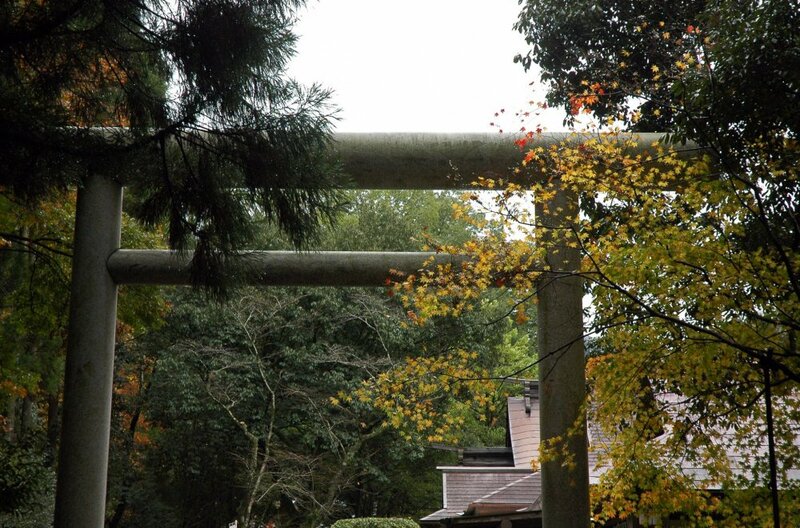 Every Shinto shrine has a holy object of worship that not only represents the enshrined spirit but also acts as a repository that literally holds the essence of the god. 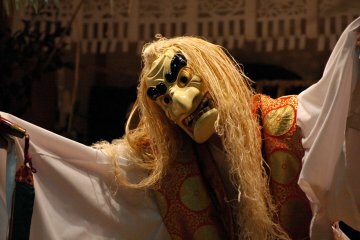 It’s called a go-shintai and most often is a man-made object: a mirror, a sword, and so on. 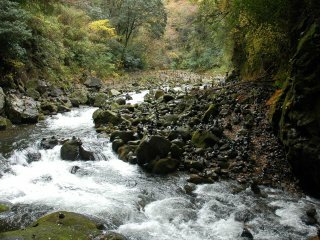 But in some cases the go-shintai is part of the natural world: there are holy mountains, holy trees and holy waterfalls. 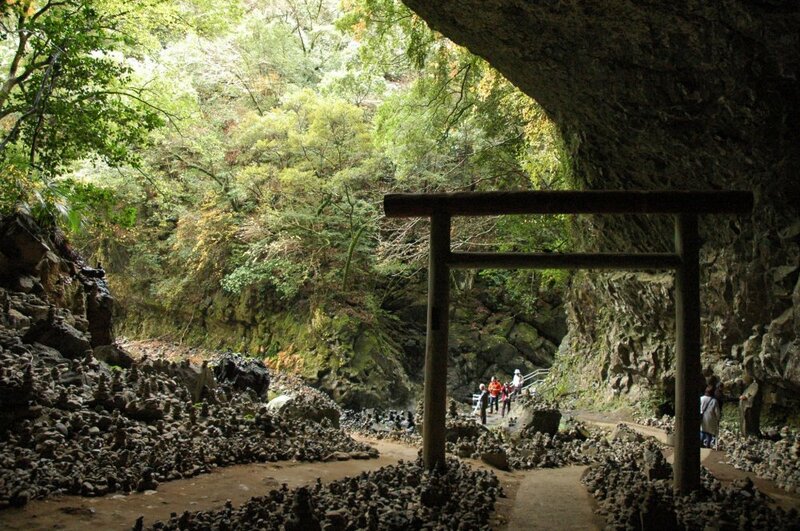 In the case of Amano Iwato, it’s a holy cave—Amaterasu’s cave. You cannot actually go there. You can’t even see it without a special guided tour with a priest—even then they only take you to a spot where you can peek at it from the opposite side of the river. 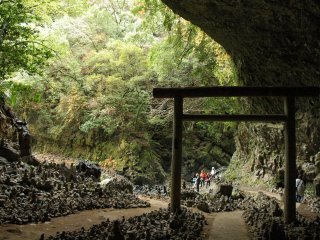 But there’s another cave that you can see and enter—the one where the gods’ council took place—and it’s absolutely amazing. 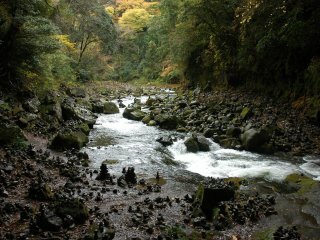 It’s about a ten-minute walk from the main shrine complex, where the river gorge widens up a bit. 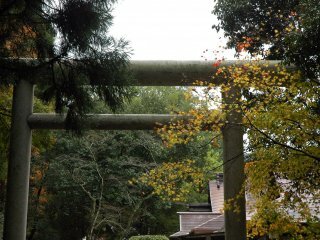 The place is called Amano Yasukawara. 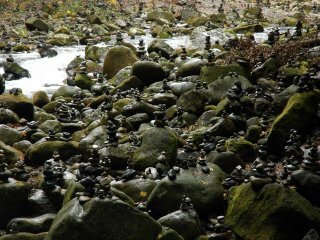 There are hundreds of small cairns left by visitors, and the sight of the rock piles covering all the flat surfaces around is mesmerizing. 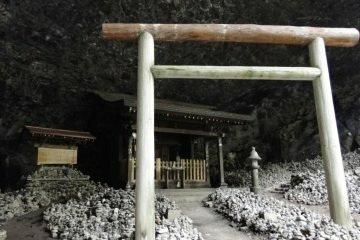 There’s a torii gate and a shrine inside the cave itself. It’s famous as a “power spot,” a place where your wishes come true. I don’t know about wishes, but the power of the place is almost tangible to me. 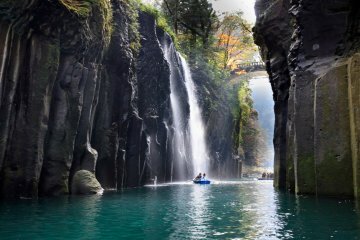 I’ve been to Amano Iwato twice, and I think I’ll be back again. 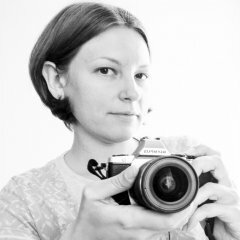 До святилища можно добраться на автобусе от автобусного центра Такатихо (15 минут).